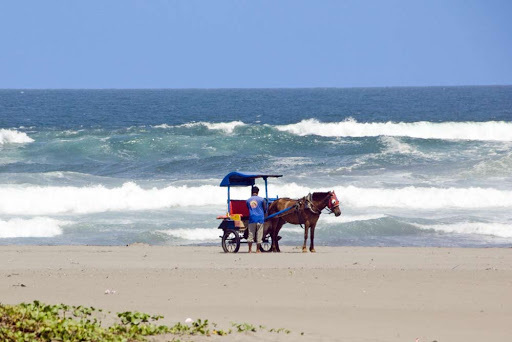 When not dare to ride a horse, you can ride the buggy or carriage horse ready around the coast. Hansom cab ride feels normal? Then try renting an ATV, a type of motorcycle with four wheels that you can use to get around the coast to the “desert”. What’s more interesting than Parangtritis? If using a private vehicle, you can take the route of Yogyakarta – Kretek – Parangtritis or Yogyakarta – Imogiri – Siluk – Parangtritis. For public transportation, you can use the buses departing from the Bus Terminal, Yogyakarta. The bus has a service department Yogyakarta – Parangtritis and you can get off at Parangtritis.